The Cherry Blossom is held in the highest esteem in Japan and China. They bloom for only a short time and are thought to reflect the fleeting nature of life with its fragile beauty. 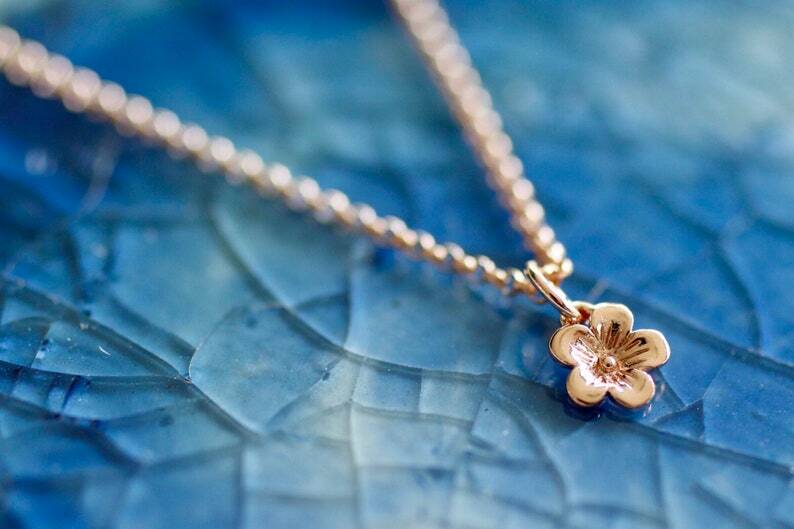 This mini Rose Gold Cherry Blossom charm is sweet and small. Measuring 6mm. Rose Gold Necklace in our dainty Rolo chain style comes in your choice of 16 or 18 inches.